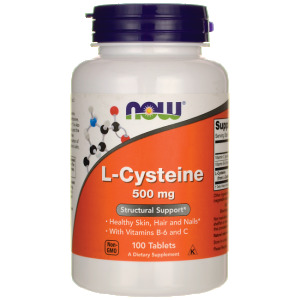 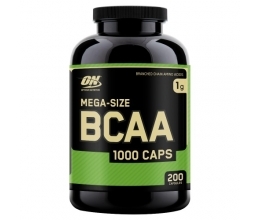 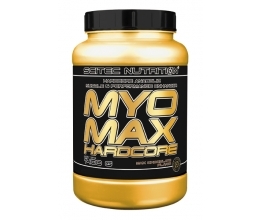 L-Cysteine is a non-essential sulfur amino acid, which plays a critical role in methionine, taurine and glutathione metabolism. 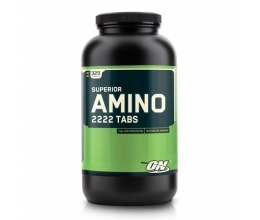 It is also an important component of hair, nails and the keratin of the skin. 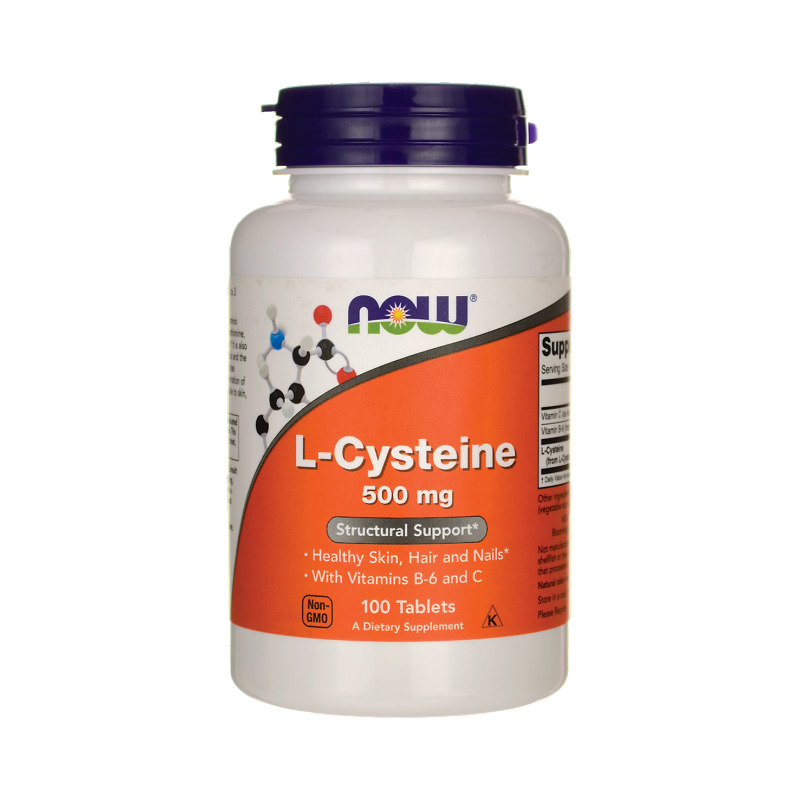 L-Cysteine stabilizes protein structure and aids in the formation of collagen, being thereby indispensable to skin, hair and nail health. 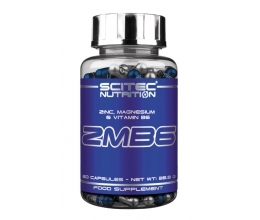 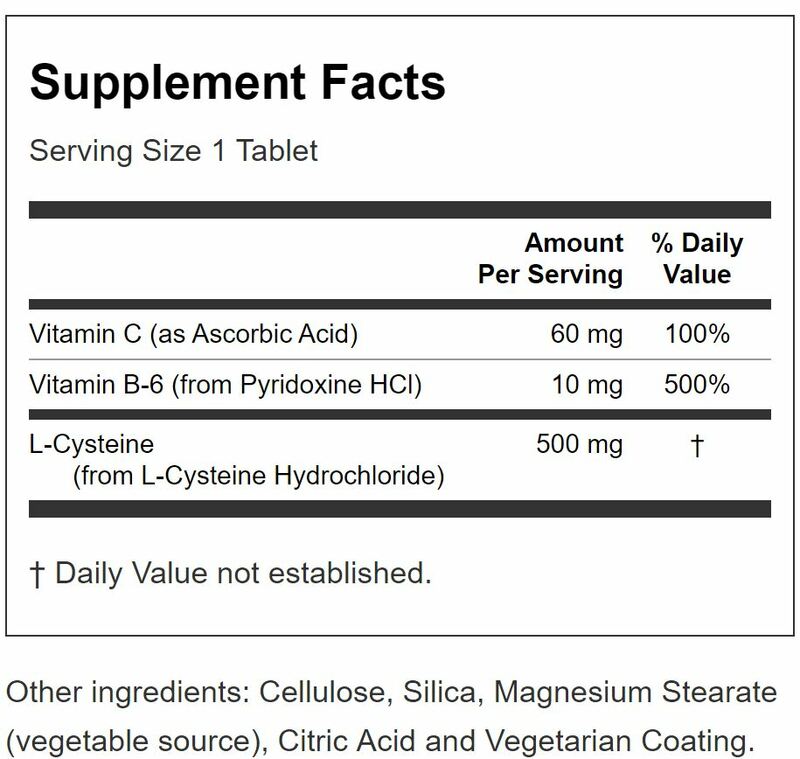 Take 1 tablet 1 to 3 times daily as needed.